The Next BIG Thing in Prescription Drugs is in Your Pocket! Until very recently, the cost of the entire prescription drug transaction was hidden from both the employer and employee. In some cases, it still is. For plans under traditional programs with their pharmacy benefit manager (PBM), the pharmacy is reimbursed a lower amount and a higher amount is charged to the plan for the same transaction, with the PBM taking the undisclosed “spread” in the deal as its administration fee. This type of pricing arrangement leaves little for plans trying to create a sense of consumerism, meaning plans that encourage patients to be more responsible consumers of health care dollars through high front-end deductibles or percentage co-insurance. If it is difficult for the employer to know the true cost of a prescription drug, then how should the patient to be expected to know the cost, and then have the means and access to that information allowing better consumerism of prescription drugs? A new day has dawned. 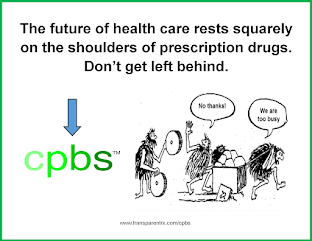 More and more PBMs are being forced to offer transparent and pass-through deals where the pharmacy is reimbursed exactly what the plan sponsor pays and the plan sponsor reimburses the PBM for its services through a reasonable and fully disclosed administration fee. With this new day and new way of doing things, PBMs have now created mobile applications that assist patients in making smart decisions – when and where they need to make them – to be smarter and better consumers. The new best weapon to control prescription drug spend is sitting in your employees’ pocket or purse: their smartphone. Research reveals members want more savings and better service. In a 2010 survey of 15 health plans conducted by InfoAlchemy, members are confused by how health care is priced, eight of out ten members want mobile health care applications, member engagement through mobile is 400 percent higher than traditional internet applications and lastly, showing local options helps to reduce cost. According to new research from the Pew Research Center’s Internet & American Life Project, 61 percent of Americans own a smartphone. Many still own a regular cellphone with 91 percent of the adult population owning some sort of mobile phone. But the jump in smartphone owners is substantial. According to Pew’s previous reports, in May 2011, 35 percent of Americans owned smartphones, while in February 2012, 46 percent owned a more powerful phone. The conclusion to draw from this is that from a health care perspective, members need more and more timely information and many of plans’ members own the information gateway in their pocket. Benefit managers' challenge is to connect the dots – provide members the information that they want and when and where they want the information, all at a low-cost investment. And they can now do so by collecting a simple 10-digit number. Up to now, PBM mobile apps have been nothing more than what you could obtain over the internet through the PBM’s website. These dinosaurs of mobile apps allowed the member to find a pharmacy or look up the general cost difference between brand and generic alternatives. But since few members drive to the pharmacy with a computer in the car, these simplistic tools did nothing to provide the information when the member needed it. New apps are now available through some leading-edge PBMs and a stand-alone application that can purchased and layered on to any willing PBM’s program (i.e. transparent program). There are many applications available and this article only highlights three of the many very good options. One that is really revolutionary is a program called Medvana. Medvana is a free application that allows the patient to “auction” its prescription at point-of-service to provide the lowest cost option compared to the distance the member is willing to go to get the prescription. 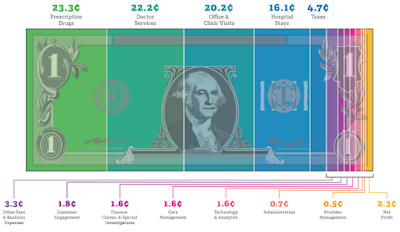 Pricing under this program is not an estimate. It is a real-time adjudicated price that reflects the contracted rate for that drug at a particular pharmacy. In contrast, other similar programs offer an approximation or “guesstimate” of what the consumer can expect be charged. When the estimate is lower than the price the pharmacy actually charges the user, it causes confusion and a loss of trust with users. With Medvana, users have high confidence that the price displayed is the price the pharmacy will charge and can push back on the pharmacy with authority if a higher price is presented to them. The program also provides quick access to alternative drugs that might cost less and yet are clinically effective. Users can quickly review the prices of other drugs in the therapeutic category so that the patient can request their doctor switch them to the lowest cost option. The value to plan sponsors, of course, is...to continue reading click here.